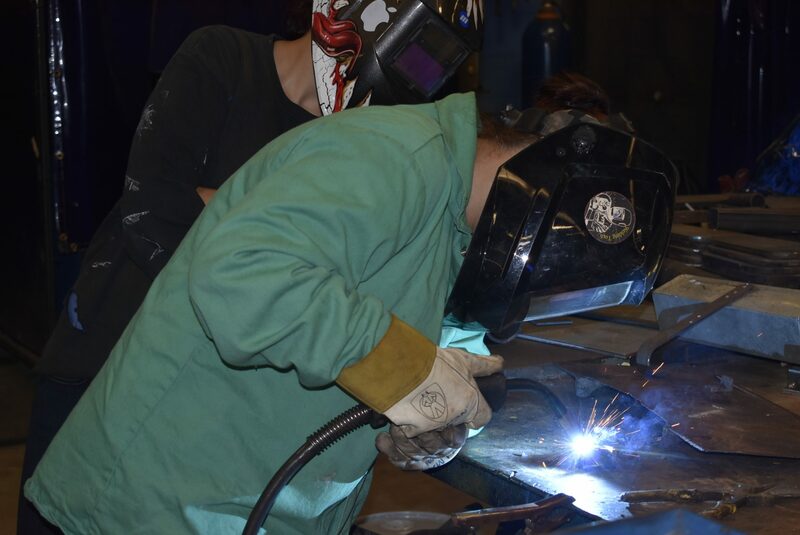 Welding Technology is a skilled trade and of significant value to Southeastern Massachusetts. 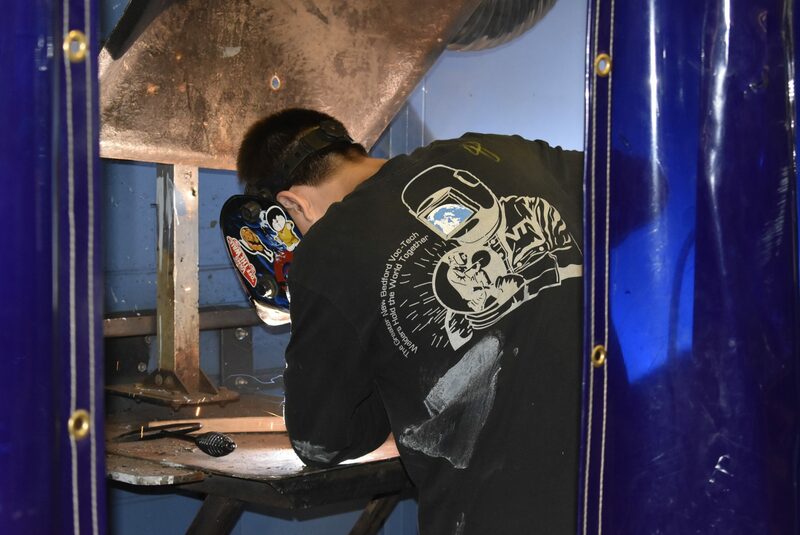 Welding Technologies students receive comprehensive instruction in oxy-fuel (gas) welding, oxy-fuel cutting operations, oxy-fuel brazing, plasma cutting, TIG welding, MIG welding, and the air carbon arc process. 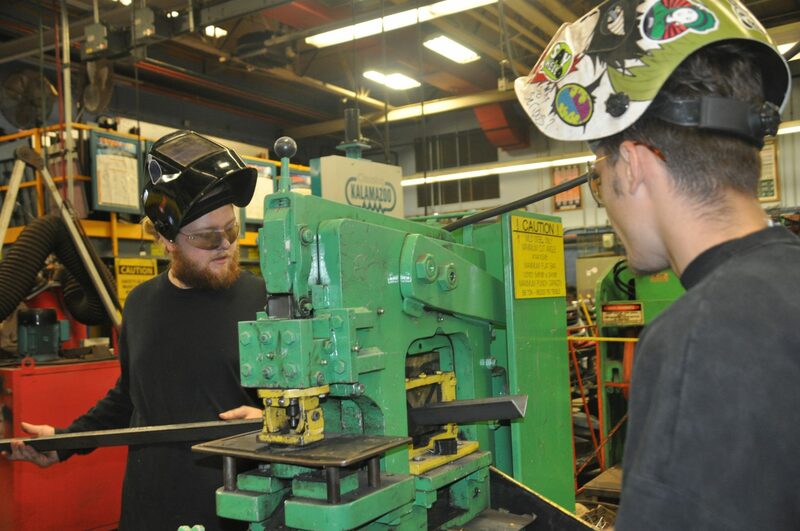 The curriculum includes training on the operation of power shears, power press brakes, power rollers, drill presses, iron workers, and CNC Cutting System. The program is also affiliated with American Welding Society (AWS) and their standards. Students receive instruction to AWS qualifications processes, Structural Code D 1.1 and Sheet Metal Code 9.1. 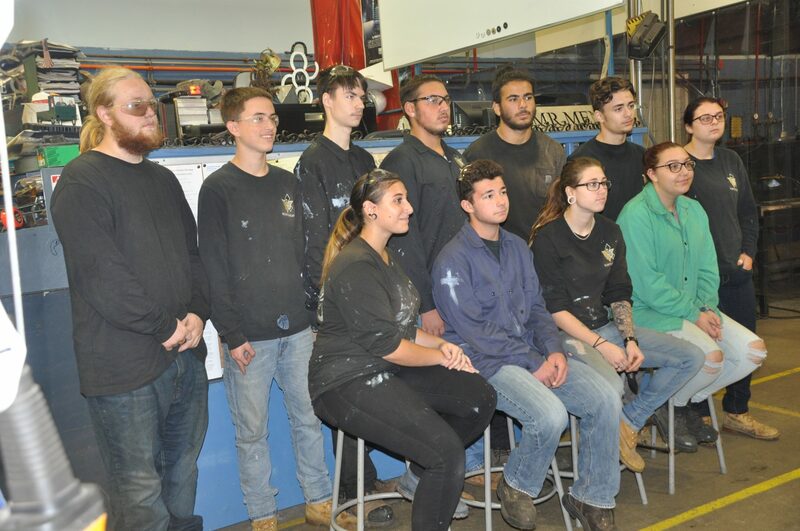 Upon completion and passing of these certifications students become locally certified to work on projects located on school grounds of for work associated with GNBVT Metal Fabrication curriculum. 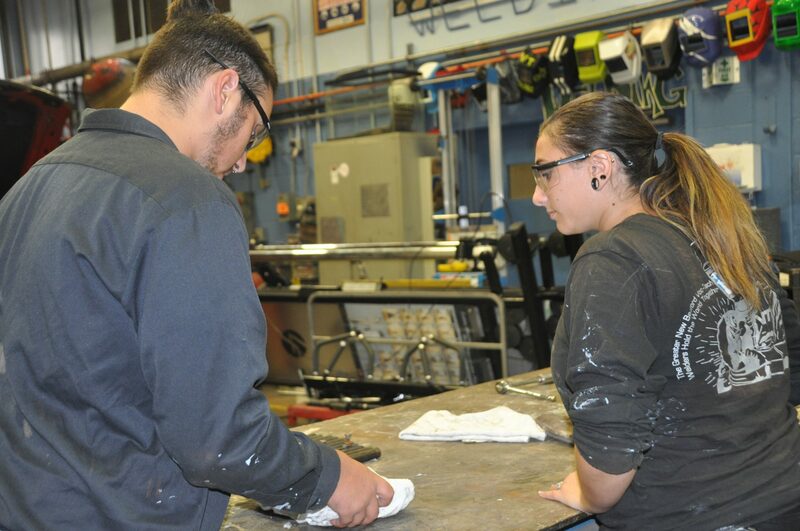 Students receive instruction on materials such as aluminum and stainless steel. 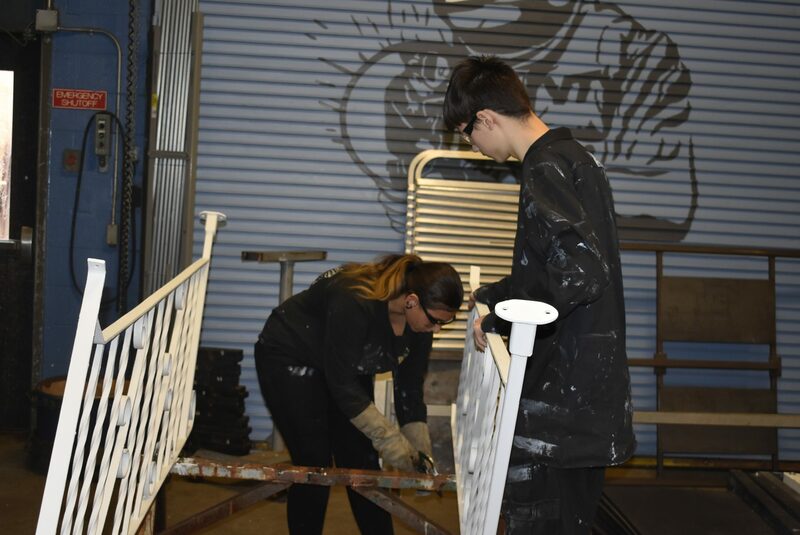 Students learn various layout techniques that include perpendicular line development, radial line development, triangulation, and parallel line development as it pertains to the heating and air conditioning industry and sheet metal fabrication. There is also an OSHA ten-hour training program in which the students have an opportunity to receive course completion certificates. Students also are active on community projects. 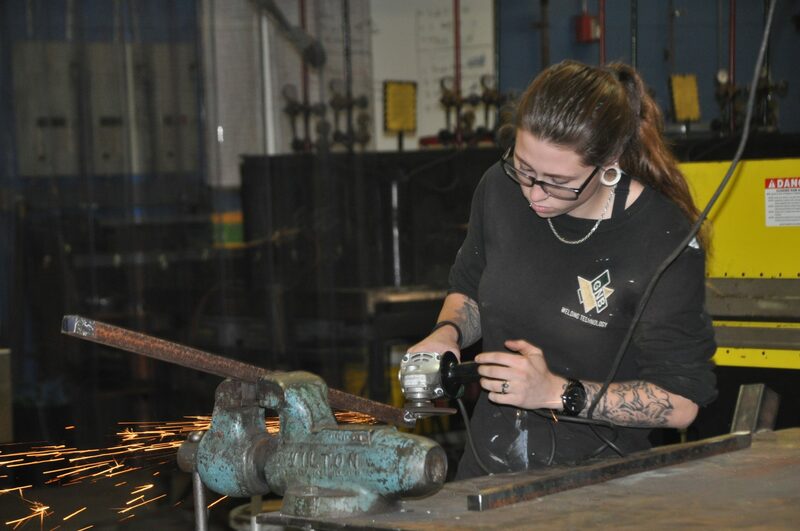 Upon completing the course, students are prepared to embark on careers as union or nonunion sheet metal workers, welders, press operators, iron workers, and metallurgy inspectors. Graduates may also pursue post-secondary education in sheet metal apprenticeship programs as well as mechanical engineering. The course has an articulation agreement with Local 17 Sheet Metal Union.